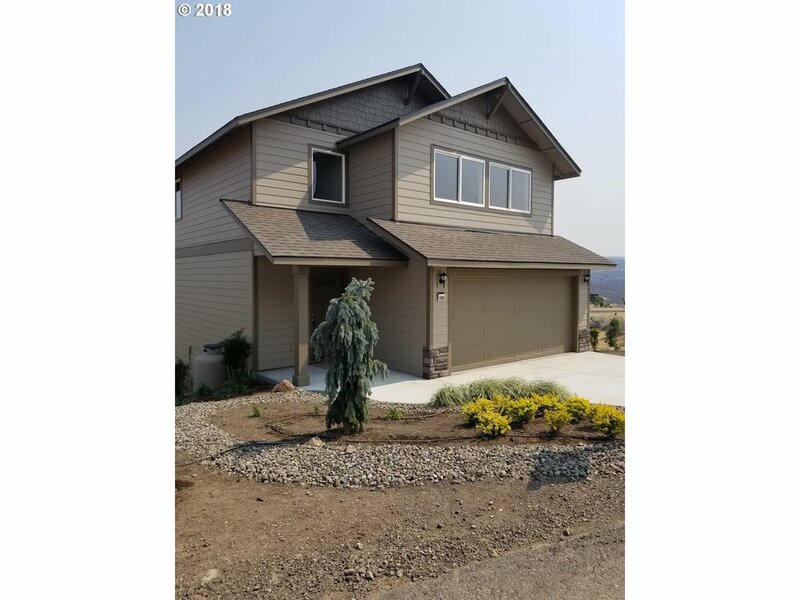 All Maupin homes currently listed for sale in Maupin as of 04/22/2019 are shown below. You can change the search criteria at any time by pressing the 'Change Search' button below. If you have any questions or you would like more information about any Maupin homes for sale or other Maupin real estate, please contact us and one of our knowledgeable Maupin REALTORS® would be pleased to assist you. "This property has 85 +/- acres of water rights and pivot, an airstrip and hanger, corrals, multiple barns, tack room, shop, bunkhouse, and too many other amenities to list. Located in the middle of all outdoor activities Central Oregon has to offer, minutes from fly fishing and whitewater rafting on the Deschutes river, an hour from Mt. Hood, and minutes from amazing hiking." "Agri-tourism at it's finest! 177 pristine acres, with 80 acres of Water Rights. 133 tillable acres that have been untouched for over 10 years! 4 acre pond(approximate), that feeds to 3 other small ponds on the property. Hunting property has been carefully landscaped with native plants to provide cover for wildlife. Fishing, Hunting, Farming....the possibilities are endless! Large farmhouse and well maintained outbuildings." "Amazing views from this NEW CONSTRUCTION home in Rivercrest Village! Large windows in living area look over pond onto vast territorial views. Open kitchen and dining area walk out to the deck. Large 1/2 bath and laundry on main floor. Upstairs you will find 2 well apportioned master suites. Your backyard adjoins common space and a pond full of fish! Bonus storage rooms under house. All this within minutes to outdoor recreation!" "NEW CONSTRUCTION in Rivercrest Village!! Living area with wall of windows, opens into the roomy kitchen featuring a large island and stainless steel appliances. The cozy living room is accented with a propane fireplace. 2 master suites, each with their own relaxing views. Step through your sliding glass door onto your patio, and enjoy the pond. Located in Maupin, with fishing, rafting and outdoor recreation within minutes!" "A hidden gem, cute and cozy home on The Deschutes River, a wall of windows takes in the view! Open floor plan for living area walks out onto the wrap around deck with built in benches. Perfect for entertaining, or enjoying a quiet evening with the relaxing sound of the flowing river. Whether this will be a getaway, or your permanent home, bring you bags as it comes furnished and ready for you to enjoy!" "Grab your fly rod, walk a few steps & you are standing on the banks of the renowned DESCHUTES RIVER!! Spectacular river view from every level of this fully furnished home! Propane stove, vaulted cedar ceilings, open stair case, loft, mstr bdrm w/full bath including jetted tub & shower. Covered patio where you can sit & enjoy the sounds of the river. One owner is an OR Realtor." "Hard to find stick built home in Pine Grove on over an acre. Great family home, surrounded by mature pines and oaks, wild turkeys and deer are regular visitors. Year round recreation out the front door; Mt. Hood ski areas, world class fishing on the Deschutes River; hiking, hunting, dirt biking, and more. Portland and Bend less than 2 hours away. Detached building in front was a service station and small business; make it your own." "Move in ready home in recreation paradise Maupin. 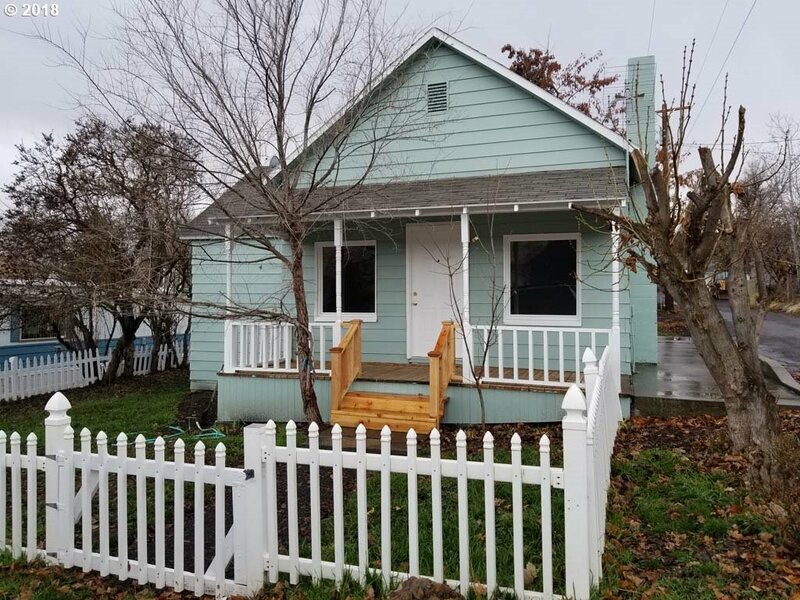 This home has a brand new roof, new cover porch, new wood stove that is certified, new water heater, and a soaker tub for a shower/tub combo in bathroom. 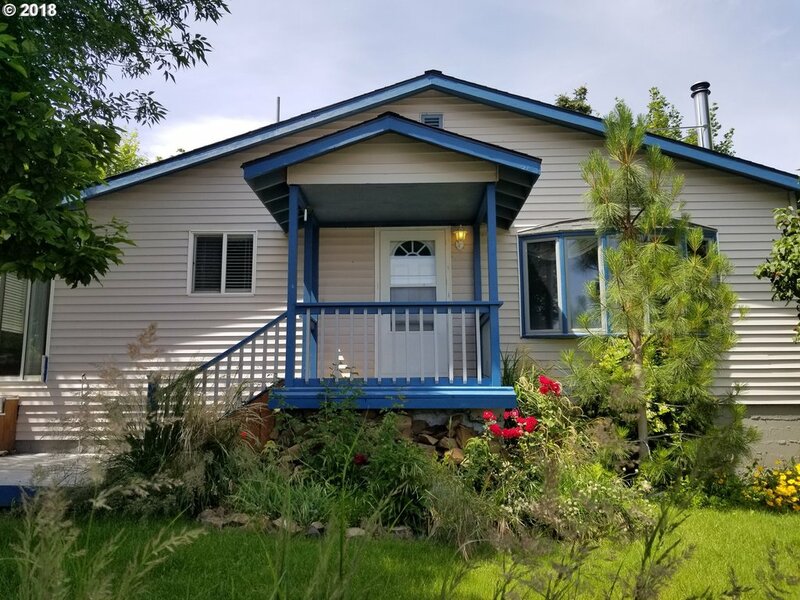 This property has everything ready for you to come and enjoy all the outdoor activities Maupin has to often, then come back and enjoy your private oasis and high speed internet. All furnishings are negotiable with purchase of home." "Charming home in Maupin with all new interior! New kitchen, bath, flooring, paint, windows and appliances! Move in ready. Fenced yard and detached garage round out this package. Maupin is nestled on the banks of the Deschutes, 2 hours from Bend and 2 1/2 hours from Portland. Easily accessible all year for fishing, rafting, hiking and exploring. This home is in the heart of town, walking distance to the library, store and more!" "Looking for a quiet retreat and a fixer upper project, look no further. 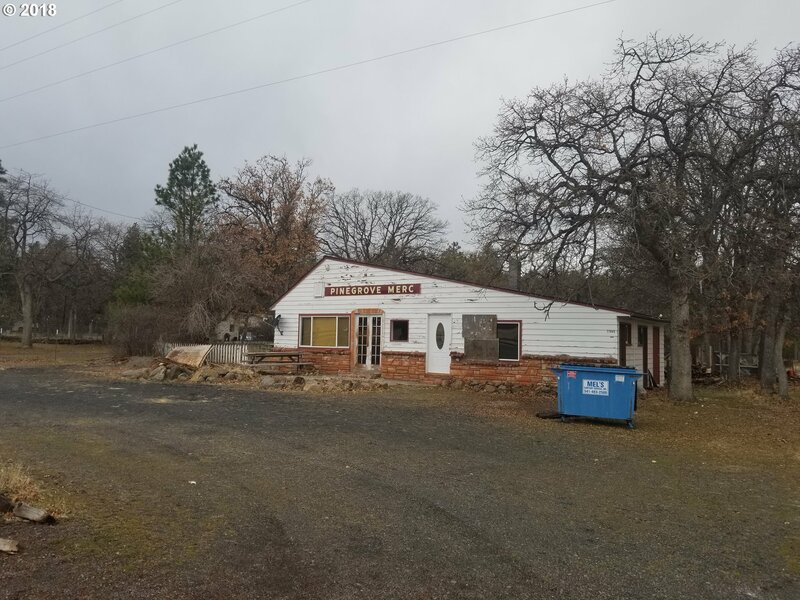 This home comes with over an acre of property, and store front attached to it, to start your own small business. This property is located on the way to the Mt. Hood and the famous Mccubbins Gulch campground and dirt bike trails. 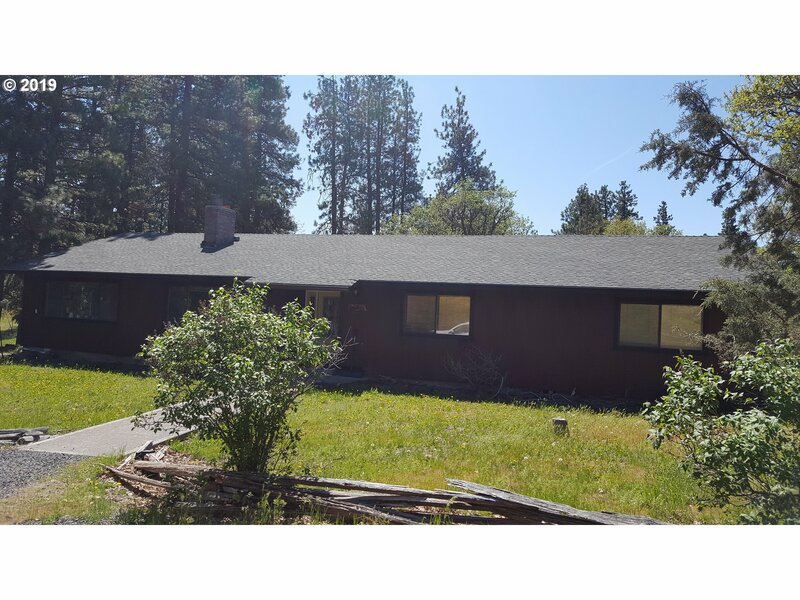 Rare opportunity to own property in Pine Grove, call today!" "Opportunity to own your share of a place on the Deschutes River. 1/4 Deeded Ownership gets you 1 week a month guaranteed. Fishing, rafting or just enjoying the view from the wall of windows or deck. Kitchen and bathroom have been updated nicely. Unobstructed view of the Deschutes River, at the end of the road. Private and peaceful!"